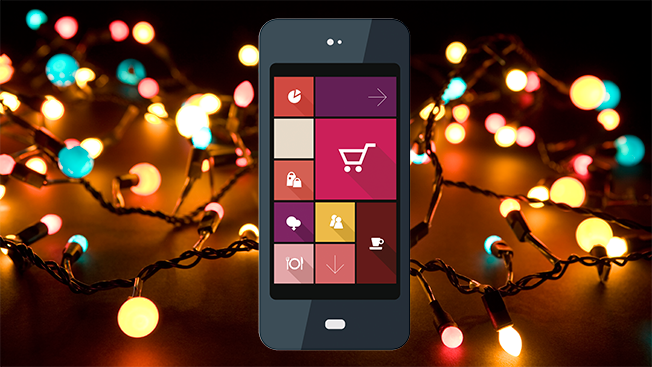 If last year's holiday shopping habits were any sign of things to come, marketers planning their holiday budgets might want to prepare for more mobile advertising and shopping than ever before. Results of a study released today by Facebook IQ said the share of mobile purchases made during the holiday shopping season increased 33 percent between the 2014 and 2015. The study, Facebook's most significant holiday survey to date, included surveying 21,500 adults across 17 global markets asking them about their mobile shopping habits. According to Facebook, the social network's users are more active during the holidays than other points of the year. In the U.S., users on average posted 30 percent more photos, text and videos. They're also more on-the-go, with 84 percent of posts coming from mobile devices. "I think that one of the recurring themes we can see year over year is the increased use of mobile in the holiday season and the holiday shopping season in particular," said Ann Mack, Facebook's head of content and activation, said in an interview about the findings. And while it might be Christmas in July for brands planning their holiday marketing budgets, Facebook said the majority of shoppers are still a half-year away from buying any gifts. Around a quarter of people surveyed identified themselves as spontaneous shoppers, and 61 percent said they're last-minute shoppers. Half of respondents said they do most of their shopping in December. However that doesn't mean shoppers didn't start planning ahead of time. Facebook found that 49 percent of people surveyed in August 2015 had planned to do most shopping before Black Friday, while 12 percent planned to be done before October. The survey was good news for Facebook: The study found that adults between the ages of 18 and 34 were more than twice as likely to mention using Facebook as a source of gift research. Mobile buyers also were more likely than the rest of the population to turn to Facebook. Mobile shoppers were 1.7 times as likely as the rest of the population to use Facebook for gift inspiration and 3.6 times as likely to turn to crowdsource with Facebook for researching gift ideas. Instagram also plays a role in gift giving, with millennials 4.5 times more likely than other generations to use Instagram as a place to get advice about gifts from friends. Mobile buyers said they were twice as likely. Even when a mobile device doesn't work for a variety of problems like font size, cell phone signal or mobile screen optimization, shoppers still don't give up on mobile. In those cases, Facebook said 43 percent of survey respondents said they chose to just try shopping again later. A separate report released by Facebook and GfK earlier this year found that 60 percent of omnichannel shoppers plan to start shopping on mobile devices this year or start making even more purchases than they already do. "I can't over-emphasize this, but you really have to think mobile," Mack said. "We're seeing an increase in commerce happening on mobile, but we're also seeing mobile playing a large role in the overall path to purchase."